The schools in Cambodia is looking to appoint an inspirational and exceptional school leaders, who have the ambition and resilience to build on the positive work done at the school and take them to the next phase of academic success. 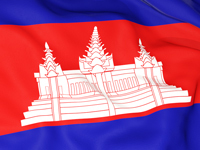 I am looking for a school leader for an International School in Cambodia with the vision, grit and academic acumen to continue the schools' success. Why work at International School in Asia ? International/Bilingual schools in Asia offers exceptional opportunities for personal and professional development. No matter what stage you are at or what job you do, the schools will support and develop your skills. Leadership roles in Asia would suit a forward-thinking and dynamic school leader who has a successful track record in school leadership and is looking to develop their practice in a collaborative and supportive environment. The successful candidate will lead the strategic development of the school and will be an outstanding role model for all.